As supermarket chains race to offer last-mile fulfillment of online orders, they are leveraging one strategic advantage in particular: their own stores, which are often situated in open-air shopping centers located only a mile or so from their customers’ homes. The value of such real estate came into sharper focus this past summer, after Amazon.com bought Whole Foods Market for $13.7 billion, according to Garrick Brown, Cushman & Wakefield’s director of retail research for the Americas. To fulfill online grocery orders in dense urban and suburban markets around the U.S., says Brown, Amazon could have bought or retrofitted industrial buildings in those areas, outfitting them with coolers, freezers and other infrastructure, all at tremendous expense. Whole Foods’ 460 stores, on the other hand, were already sitting within a 10-mile radius of an estimated 144 million shoppers. “If you look at the final-mile challenges in grocery, it makes perfect sense that Amazon pulled the trigger on the Whole Foods deal,” said Brown. But the challenge for supermarket chains is to find the right way to use open-air real estate for these purposes, says Ben Conwell, head of Cushman & Wakefield’s e-commerce fulfillment practice. And landlords will need to accommodate grocers’ experiments with parking, drive-through lanes and outparcels set aside for delivery or pickup, he says. And if more grocers start fulfilling online orders of nonfood items — as could happen at Amazon-owned Whole Foods — landlords could face periodic objections from other tenants on the grounds that such sales violate exclusivity lease clauses. But thanks in part to the growth of specialists in third-party delivery, closing the last mile need not necessarily be hugely disruptive for either grocers or landlords. According to Conwell, a clear trend of late is for grocers to leverage the infrastructure and expertise of such startups in efficient ways, either through strategic partnerships or outright acquisitions. Simply put, he says, teaming with third parties is cheaper, easier and less risky than trying to cultivate grocery-delivery capability in-house. Albertsons, for one, announced this past November that same-day-delivery specialist Instacart will begin delivering from some 1,800 Albertsons stores by the middle of this year. San Francisco–based Instacart, which also works with the likes of Costco, HEB and Publix, enables users to buy groceries online and have them delivered by personal shoppers. Other grocers are also ramping up their partnerships with various third parties. During Kroger’s third-quarter 2017 earnings call, on Nov. 30, Chairman and CEO William Rodney McMullen touted the growing importance to Kroger of home delivery. Partnerships with Instacart, Roadie, Strip and Uber have enabled the Cincinnati-based chain to bring delivery capability from zero Kroger stores to 300 in a little over a year, according to a Seeking Alpha transcript of McMullen’s comments. “We have incredibly convenient locations and platforms for pickup and delivery within one to two miles of our customers,” McMullen noted on the call. Some grocery sellers are opting to buy third-party delivery startups outright. This past December Target Corp. announced plans to acquire one of the fastest-growing third-party delivery companies in the U.S. — Birmingham, Ala.–based Shipt — for $550 million. Target’s goals include making same-day delivery of groceries and other goods an option at most of its 1,400 stores by the 2018 holiday season. The Shipt acquisition followed Target’s purchase last year of San Francisco–based Grand Junction, a software company specializing in local and same-day delivery logistics. In making deliveries, crowd-sourced drivers must travel to various stores, pick up packages and then take them to customers’ homes. But Walmart employees have a head start, Lore writes, because they can begin their last-mile journeys from the store. “Once they’re done working at the store for the day, they pick up the packages from the backroom, load them into their vehicle, enter the delivery addresses into the GPS on their phone and head toward home,” he wrote. The idea is promising, given Walmart’s impressive distribution system, store network and ability to dispatch an army of delivery drivers, says Joseph McKeska, co-founder and president of Elkhorn Real Estate Partners. The Oak Brook, Ill.–based firm, a joint venture with A&G Realty Partners, helps grocers and retail real estate investors optimize their portfolios. 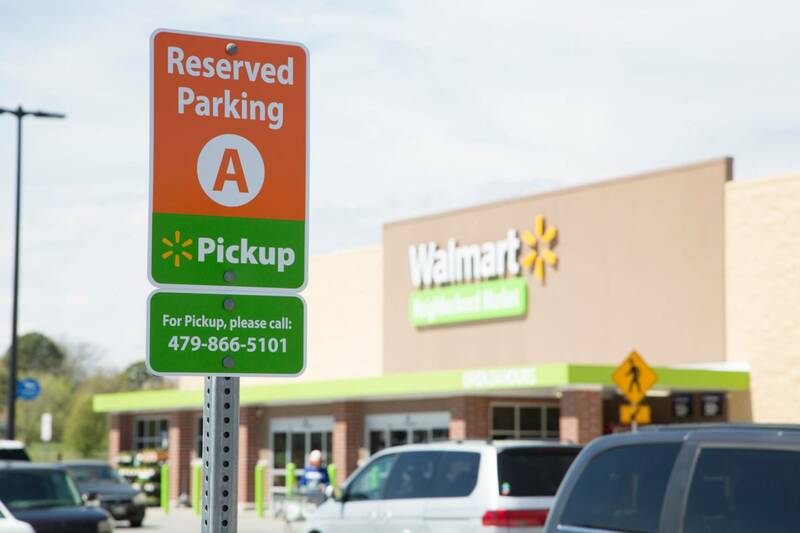 “The Walmart experiment here really is intriguing to me, because it does potentially solve the last-mile problem,” McKeska said. In addition to experimenting with approaches to delivery, top U.S. grocery sellers also aim to promote another solution to the problem: encouraging online shoppers to cover the last mile themselves and pick up their orders at the store. Kroger has been particularly aggressive in rolling out its ClickList click-and-collect option. During Kroger’s third-quarter earnings call, McMullen said the company is on track to offer click-and-collect at roughly 1,000 stores and that the service is a strong driver of Kroger’s digital revenues overall. 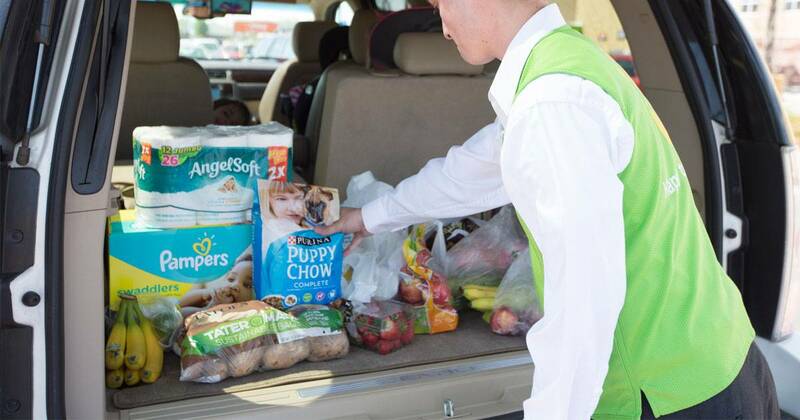 Publix, for its part, launched a curbside pickup initiative this past September at test stores in Florida and metro Atlanta. 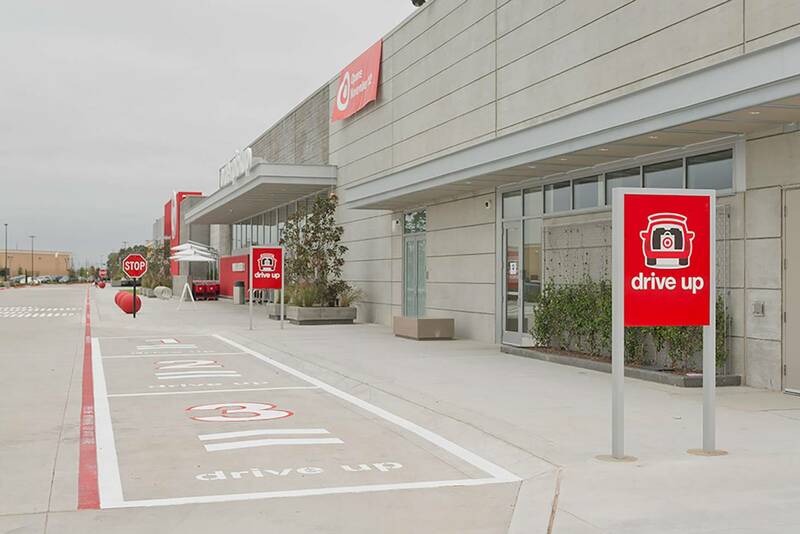 Target, meanwhile, is testing its Drive Up click-and-collect service in 50 locations around the Twin Cities, with plans to expand the test this year. 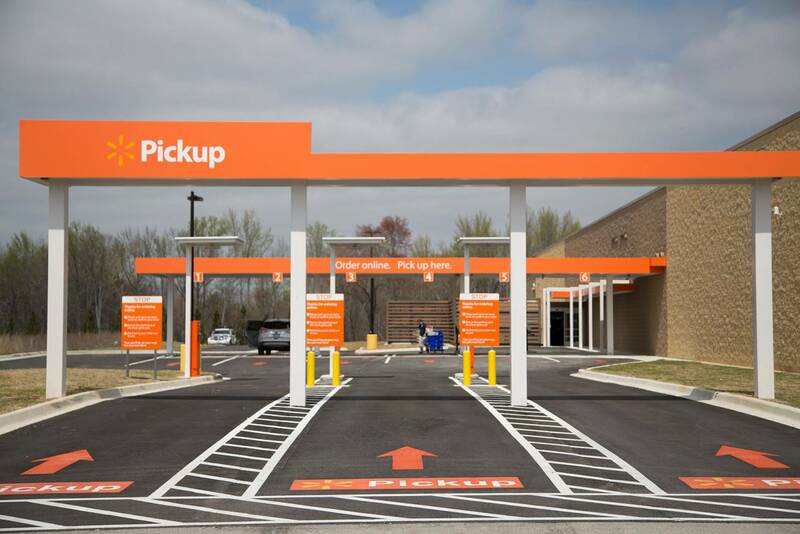 As store-based fulfillment of online orders continues to grow, so does the potential need for retailers to reconfigure space in their stores, or for landlords to make changes to the parking lot, experts say. According to McKeska, so far the effects of retailers’ store-based fulfillment strategies on real estate have been quite limited: To make things easier and faster for Instacart or Shipt delivery people, a grocery might put coolers and dry-storage lockers in front-of-the-store alcoves; to improve the efficiency of a click-and-collect program, a chain might install a parcel pickup lane or set aside spaces for dedicated customer parking or grocery loading. Moving forward, though, Amazon and traditional discounters and supermarkets alike are clearly contemplating new ways to integrate fulfillment of online orders into stores of the future, McKeska says. “If these things truly take off and reach a high-enough percentage of sales, it might make sense to build a different store format,” he said.